Welcome to JJN Digital - leading UK manufacturers of Professional Counter Surveillance, Mobile Phone Detection and TSCM equipment. JJN Digital make a range of models to detect the latest mobile phone, tracking, listening and video technology. See which model best suits your application. 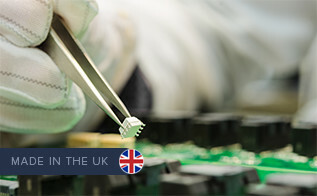 JJN Digital have built a reputation for providing quality products designed, manufactured and tested in the UK to the highest standards with backup to match. 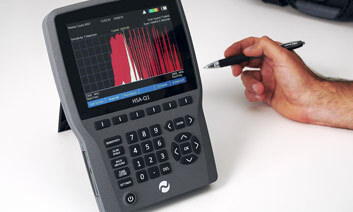 See our products in action with our demonstration videos including the new HSA-Q1 Handheld RF Spectrum Analyser. Pocket Bug Detector PRO-SL8 - 0 to 8 GHz detection, unrivalled sensitivity and simple to use. 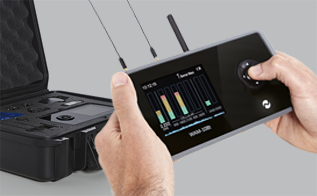 JJN Digital are leading UK manufacturers of Professional Counter Surveillance (TSCM) and Mobile Phone Detection Equipment. We are an innovative dynamic company, with a reputation for designing highly effective detection equipment with a user friendly, customer focused approach. Our products are designed and built in the UK from start to finish to the highest specification and are used by countermeasures professionals worldwide. Our clients include government, prisons, police, businesses, and professional sweep teams. JJN Electronics was formed in 1996 by the same management team as today. We are proud to have been serving the industry for the last 22 years. All products come with a no quibble 12 month manufacturer warranty. We are confident our products will serve you reliably for years to come. All JJN Digital products are designed, built, and extensively tested in the UK to the highest standards required by our customers.